Namie Amuro (安室奈美恵), born September 20, 1977, is a retired Japanese pop idol from Okinawa, Japan. Titled "Queen of J-pop", she is one of the best-selling artists ever in Japan with total sales of approximately 38,000,000 singles and albums. 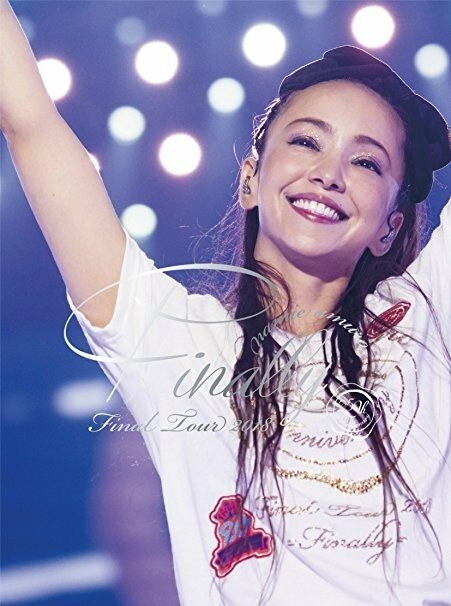 Features the final of Namie Amuro's last tour "Finally" held at Tokyo Dome on June 3rd, 2018 and the 25th anniversary outdoor concert held in Okinawa in September 2017. Through the last tour held in 17 places in Japan and six countries in Asia, she performed 24 songs selected in fan balloting and six new songs included in the greatest hits album "Finally." There are 5 editions, and each is a 3-disc set. The main difference in each edition is the final disc, a performance unique to 5 different venues (including Tokyo Dome). Disc 3 from each will be uploaded separately.